How do American view their health care options? Home » Industry News » Healthcare Industry News » How do American view their health care options? The health care system is under intense scrutiny to become more cost-efficient and accessible for the average American. The rapid cost inflation that took place in the previous few years has been slowed, but many consumers still struggle with the cost of care, as evidenced by the millions of Americans carrying medical debt. But to see how the average citizen views their medical experience, CBS News and the New York Times polled over 1,000 adults nationwide. The results showed that fewer Americans consider their medical care to be affordable, with 52 percent of Americans reporting that they find costs manageable, down from 61 percent from December of last year. Forty-six percent of respondents considered paying for medical care to be a hardship, which is 10 percent higher than last year's poll results. The rise of out-of-pocket costs also continue to weigh heavily on Americans' wallets. Over half, 52 percent, of respondents answered that he amount of money they pay for out-of-pocket health care costs — those not covered by insurance — has gone up over the past few years, including a third who say those costs have gone up a lot. 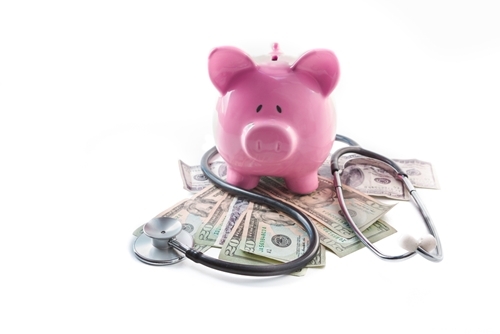 These out-of-pocket costs can have a disastrous effect on patient finances. While the majority of Americans seem to be able to manage costs, 37 percent explain that they or a member of their immediate family is currently experiencing difficulty in keeping up with medical bills. This trend could mean more challenges for accounts receivable management professionals. When patients are underprepared for the cost of their care, bad debt can accumulate that can grow to affect the quality of care a facility is able to provide. To avoid this result at your facility, consider making the decision to outsource receivables management to be able to pursue a more manageable claims load and write off fewer dollars to bad debt.